Barbara Brown passed away on August 27, 2018 at the age of 82. Barbara was born in Columbus, Mississippi on December 2, 1935 to Charlie and Pearl Hale. She spent many years in South Bay and for the past 22 years Barbara has been living in Madera. She worked in health care for 20 years. Barbara attended church at the Galilee Missionary Baptist Church in Chowchilla and was a member of the “Van Club”. She was preceded in death by her son Robert Taylor. 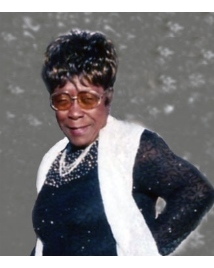 Barbara is survived by her husband, Albert Brown, her five sons, James Taylor, Luther Taylor, Charles Taylor, Larry Taylor and Tim Taylor, her daughter Pearl Sutton, and her two brothers, Jethro Sanders, Judson Sanders and his sister Helen Quinn. Barbara also leaves behind thirteen grandchildren and numerous great grandchildren.